Michigan J. Frog Will Live! The WB Network went off the air in favor of “The CW”… now, The WB is being revived… on-line! AVG Free 8.0 is Out! I was installing AVG on a new system I was setting up for a client. So, AVG 8.0 is out… and, weirdly enough, AVG Anti-Spyware Free has been discontinued. And so soon after I said it was really cool and improved. Sigh. Oh well… Version 8.0 is very cool. So, get it… and stay safe out there! 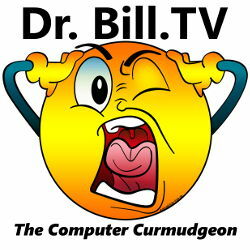 Dr. Bill recovers from a podcast disaster… sorta! Tech News, Geek Software of the Week: CutePDF, M$ to take over Yahoo, Weird Al Geek Culture… with hamsters! The Evil Empire is gunning for Yahoo… and the jig may be up this weekend. I can hear the Vader music, Dum, dum, dum, dum, da dum, dum da dum! “‘If Microsoft doesn’t ‘make progress’ in its Yahoo buyout bid by this weekend, the Redmond company will move on to options that include taking the offer to Yahoo shareholders and dropping the acquisition offer entirely, said Chris Liddell, senior VP and CFO at Microsoft, in a conference call late Thursday. [But] Microsoft is focused on the online ad market,’ due to industry predictions of major growth in this space over the next few years, Liddell told financial analysts and journalists during Microsoft’s third quarter financial call. Accordingly, Microsoft has developed a back-up ad strategy that will revolve around Windows Live and its other existing properties if the Yahoo deal stays stymied, Lidell said during the call, in which Microsoft announced net income of $4.4 billion — down 11 percent from the same quarter last year — on sales that rose only slightly this past quarter to $14.5 billion. We know Vista is lame, but why? Microsoft is the largest, most successful software company in the world. Why did they release such a turkey? John C. Dvorak thinks he knows why. “1- Market confusion. From the beginning, everyone moaned about the fact that there were simply too many versions of the OS for sale. Who needs all the variations? It’s stupidâ€”plain and simple. What you want is the one best version, not a slew of namby-pamby ones. This happened because the folks at Microsoft know only how to merchandise and, seemingly, not how to market. 2- Code size. I’ve got two words for you: TOO BIG. Enough said. 3- Missing components. Yes, WinFS, the promised file system and a core pillar of Vista, isn’t there. The promises regarding the development of this file system go back to 1991. And Microsoft cannot make it a reality? Why? 4- Laptop battery-life drain. This was supposed to be fixed with special code and hybrid hard disks (HHD). Still, users have to resort to expensive silicon drives. 5- HHD fiasco. I’m still irked about being told by the HD industry that the benefits of the new generation of hard drives will ‘make people flock to Vista.’ That was over two years ago, and suddenly there’s silence about the whole thing. One of these days, someone will tell me what really happened. My guess: It never worked correctly, and no one could make it work. 6- Bogus Vista-capable stickers. Microsoft’s ‘Windows Vista capable’ campaign was an incredible marketing botch. Computers were sold with an indication that they were ‘Windows Vista capable’ when they were not. This did wonders for goodwill. 7- Missing drivers. It seems incredible that all of the Windows drivers that worked with XP did not necessarily work with Vista. How does that happen? 8- Conflicting advice. There was no consistent advice for users about implementation, and Microsoft did nothing to help. Some people said that you should get a new computer only with Vista preloaded and not upgrade. Others said upgrades were fine. Others upgraded and complained. Microsoft should have put up a specialized Web site that could test machines remotely and tell users whether it would be a good ideaâ€”or notâ€”to upgrade. A promotional/test CD-ROM that could boot Vista (like those Knoppix Linux disks) would have been a good idea, too. 9- XP mania. You’d think that the world was in love with Windows XP. Everyone wants to keep it on the market, and this makes Vista look even worse. What’s more, there were far too many reports about people reverting to XP after an ‘experience’ with Vista. If Microsoft had the testing service that I mention above in place, this would never have happened. 10- Mediocre rollout. Unlike other rollouts of important Windows products, Microsoft did not put on much of a show with Vista. While there were some weird posters placed in subways and maybe a few TV commercials, none of it compared with the rollouts from a few years back, where the company got worldwide attention. By comparison, the company seemed almost sheepish or embarrassed by Vista, something that was also reflected in the recent lackluster rollout of Server 2008â€”a total snooze. This sent the wrong signals to users and may have made them hypercritical. And, just to be curmudgeon-ly, I will throw in number 12… it’s not Linux! OK, OK, so it was a cheap shot! 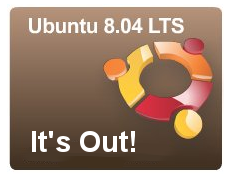 Ubuntu 8.04 LTS is Out! LTS is “Long Term Support.” The desktop will be supported though 2011, the server edition is supported through 2013. Hooray! The day is always brighter when there is a new Ubuntu version to play with! “Create PDF documents on the fly â€” for Free! Portable Document Format (PDF) is the de facto standard for the secure and reliable distribution and exchange of electronic documents and forms around the world. CutePDF Writer (formerly CutePDF Printer) is the free version of commercial PDF creation software. CutePDF Writer installs itself as a “printer subsystem”. This enables virtually any Windows applications (must be able to print) to create professional quality PDF documents – with just a push of a button! FREE for commercial and non-commercial use! No watermarks! No Pop-up Web Ads! * Supports Microsoft Windows 98/ME/2000/XP/2003/Vista (x32/x64). * Requires PS2PDF converter such as Ghostscript (recommended). 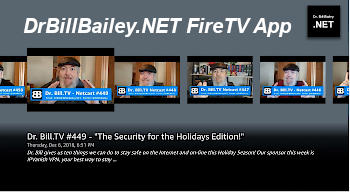 Dr. Bill plays lame Geek Culture with “CyberThug,” he answers a phone call that wasn’t supposed to happen, the Tech News, and a Geek Software of the Week: Pixelformer! Talk about an “off day!” Yeeesh! Red Hat announced that their planned “Global Desktop” release of the Red Hat operating system is slipping. Pundits thin this may give SuSE Linux an edge… we’ll see! 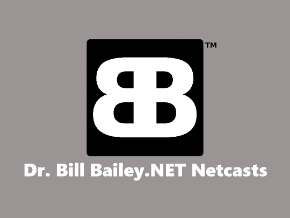 How about a free “next generation” icon editor/creation tool? If you write programs, or, if you just want to enhance your current programs with cool icons, this is a neat tool! 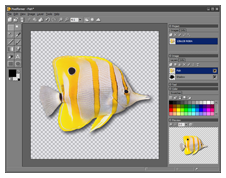 “Pixelformer is an advanced icon editor which is designed to give you full control over every pixel of your images. With its predictability and subpixel precision you can easily create professional quality icons and bitmaps.